For a pencil-lover like myself the name Mitsu-Bishi stands for some of the best pencils in the world, and also maybe the most beautiful modern pencil IMHO: the Hi-Uni. Now the Uni brand, that operates at the foremost consumer front alongside the Posca brand, stands for quality at moderate prices. The Uni Pin fine-liners are amongst the most used in the domain of illustration, and probably the best. 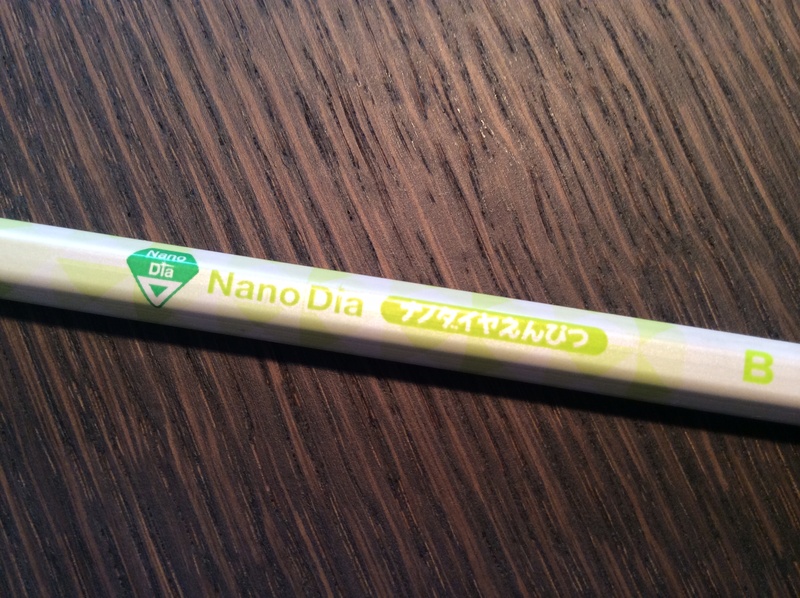 So I was pretty much surprised to find these Nano Dia pencils that don’t seem to fit into the rest of the Uni portfolio. Digging a bit (not much) I found this article on the ever entertainingly informative pencil talk (http://www.penciltalk.org/2012/01/mitsubishi-nanodia-pencil), that asks the same questions I was asking myself when I received the pack of 3 Nano Dias B. My main question is who is this pencil marketed to? It looks a bit too dull for the children/school market and yet it is not speaking to a more mature market, maybe something in between with an eye on the low-cost sector… no idea. Well, we won’t find answers to these questions here, so why not continue to the core of my interest: how does the Nano Dia B perform? Let me first talk about its looks. It is not an especially ugly pencil, but nor does its dull appearance convince the connoisseur. There’s the somewhat sad little Nano Dia logo, the brand markings and then there’s some triangles that are surely supposed to mimic the faces of a diamond… but the pearly appearance is kind of a nice touch, although it does not really help to raise the esthetics a lot. 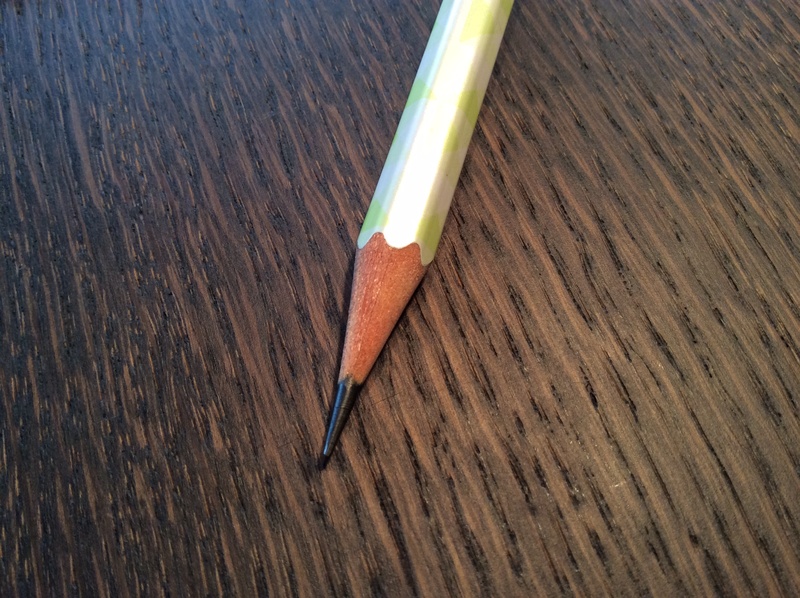 Both ends of the pencil are naked. The pencil itself is very light and the wood has a rather pleasant, undefinable wood smell. While sharpening it with one of my Janus 4048, I was very surprised how easy and neat the wood of the pencil let itself cut by the sharpeners blade. The feel of the lacquer is astonishingly pleasant and there’s some slight grip to it that somehow compensates for the lightness of the pencil. The lead is right up my aisle. Firm, not to smooth, not too sticky and really, really dark if you push it. This is the kind of performance I love. This one pencil can do a lot of shades of grey, and it does so in an easily controllable manner. I didn’t need a lot of time to learn how the Nano Dia will react to pressure, its drawing capacity was readily available, no need for explorations with different papers. Now the biggest surprise is how long I could draw with one sharpening. 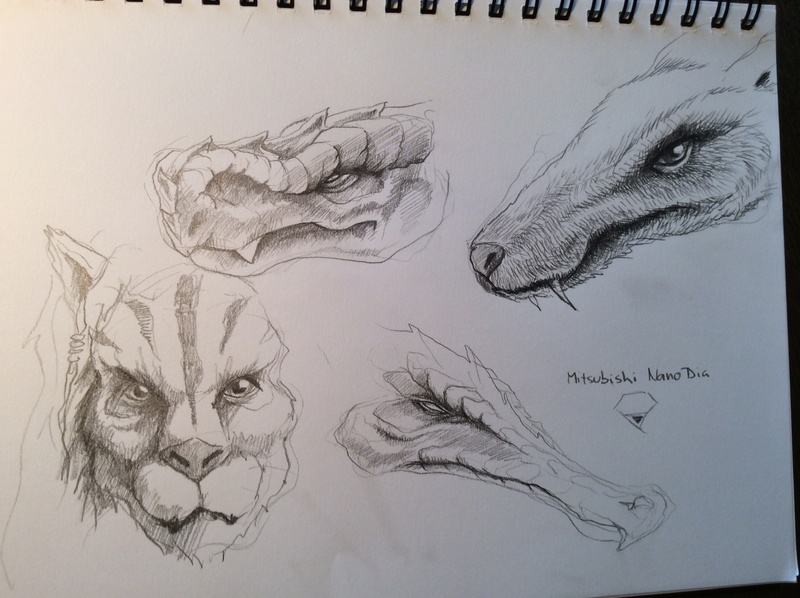 The sketch page you see in the photo is done with one sharpening of the Nano Dia, and I did some really dark areas. Dulled down its still a pleasure to draw with it and it was still possible to draw fine (although light) lines. One negative point is that due to the amount of graphite the pencil conveys it smears moderately. I won’t bother trying the 2B of the wood-clinched line of the Nano Dias, as the main line are leads for mechanical pencils, but I will most certainly try the HB 0.7mm and see how it performs. So all in all I’m pretty surprised by that pencil. 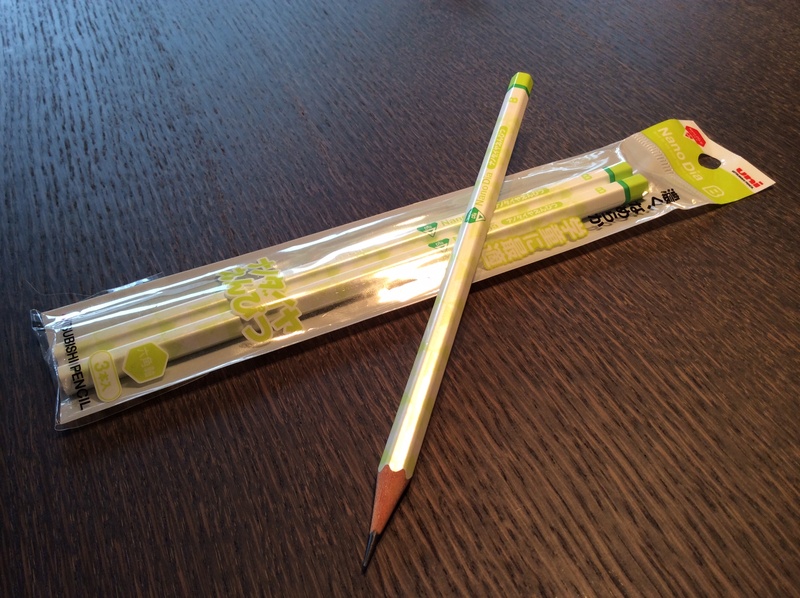 It is a really good pencil with a very good drawing performance, but without the looks of a good modern pencil. I got a 3-pack of 2B and was astonished with how good they are. The way they glide on paper is just bliss to me, and the darkness of the lines they put down on paper is near perfect. On the same order I got the Tombow Mono 100 2B and Hi-Uni 2B and, honestly, I still enjoyed the Nano Dia more. I wish I had ordered an extra pack. I echo your point on longevity. The Nano Dia B is my go-to pencil when I make production batches of chemical products at work. The point lasts across the calculations required for multiple batch sheets. The softer 2B are a pleasure to write with, but wear quickly. For years I was worried that they might disappear because the design doesn’t seem to fit a market niche, but by now, it seems that they’re here to stay. Best overlooked pencil on the market.